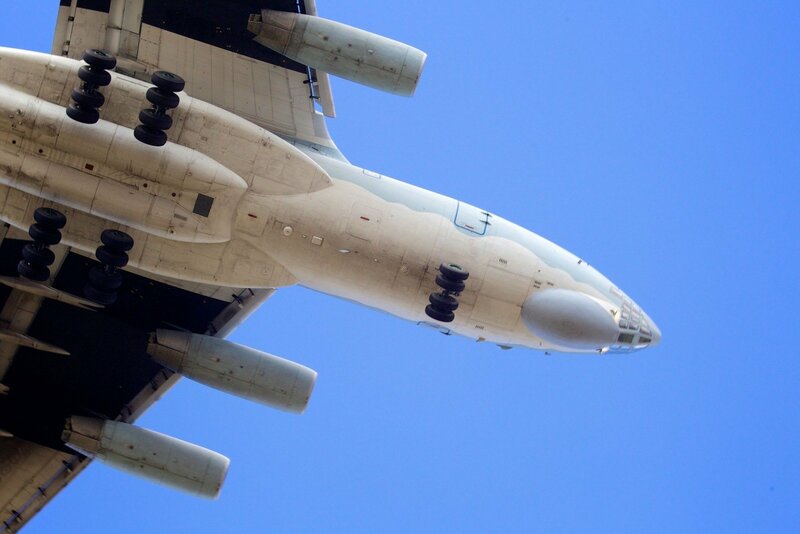 Two Russian IL-76 military transport aircraft last week violated Lithuania's airspace, the Foreign Ministry said on Monday. The incident occurred during the time of the Russia-Belarus military exercise Zapad. Alexander Udaltsov, Russia's ambassador to Lithuania, on Monday was summoned to the Foreign Ministry and handed a diplomatic note over the airspace violation, the ministry said in a press release. According to it, two Russian IL-76 planes, flying from mainland Russia to its Baltic Sea exclave of Kaliningrad, late in the evening of Sept. 16 entered Lithuania's airspace and stayed there for up to 2 minutes. The ministry "expressed its protest to the Russian ambassador and requested competent Russian authorities to provide an explanation over the incident as soon as possible". It also "called on Russia to take all necessary measures to prevent such incidents from occurring in the future". The active phase of Zapad started on Sept. 14 and will run through Sept. 20. Before the drills, Lithuanian officials did not rule out possible incidents and provocations.